Jordan Brand is living to its promise to give their ever-loyal supporters a lot of shoes to choose from this year, and another one new choice for this month is the Jordan TE II Advance. The new edition of the Jordan TE II Advance will be released in Black/White colourway that shows a lot of improvement from the first release of the shoe. 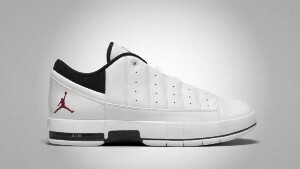 Featuring a dominant white upper part with black linings and Jumpman23 logo, the new Jordan TE II Advance is expected to win the hearts of many buyers this February 2011 so don’t dare miss this one!